I feel like I was just talking about these guys…. Oh wait, I was. Recap – It’s official! After the long wait following the release of 2009’s massive record “Artifacts In Motion”, Circle of Contempt are coming back next month with a brand new EP! December 11th is the day to mark down. These Finnish Tech Metal giants announced this along with releasing some hype material today. Also be sure to check out the studio updates the band posted here. 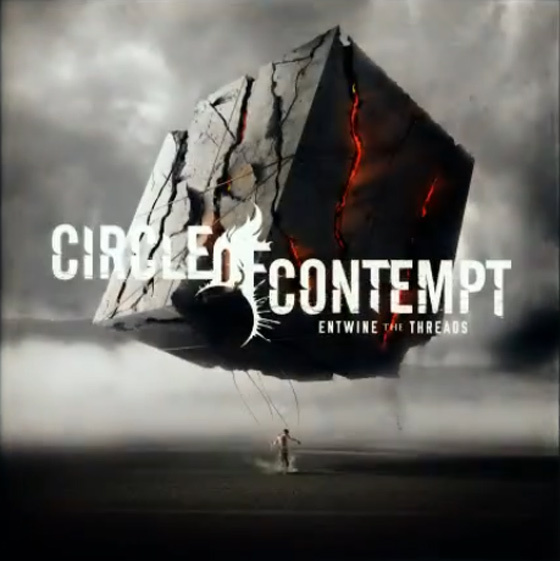 Almost immediately after showing us a release date for the new EP, Circle of Contempt released an official album teaser, artwork, and pre-orders for the release titled “Entwine The Threads”. All of the above is looking and sounding intense. Not to mention the EP was produced by Sami Raatikainen of Necrophagist… No wonder why it took so long to get here! Check out the goods below and grab your pre-orders right here. And the huge response was let’s get physical. « RINGS OF SATURN DRAMA… AND PLAY THROUGHS!